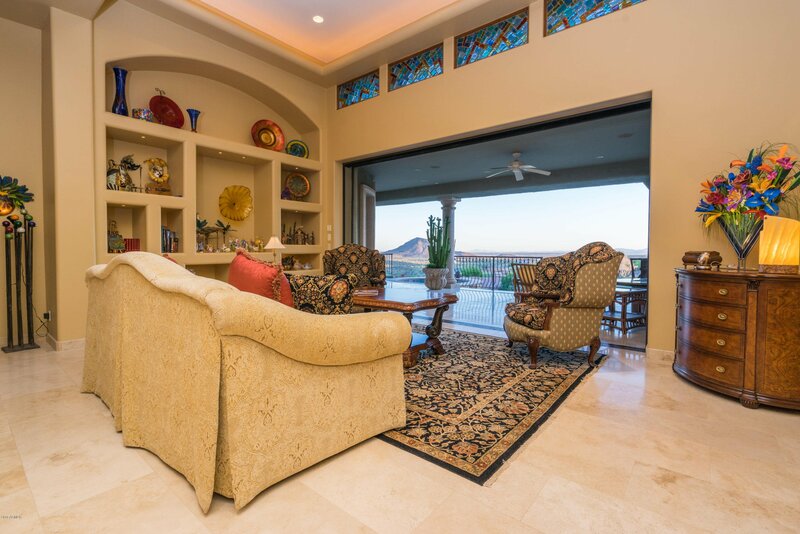 SINGLE LEVEL, amazing views and detached two bedroom casita. 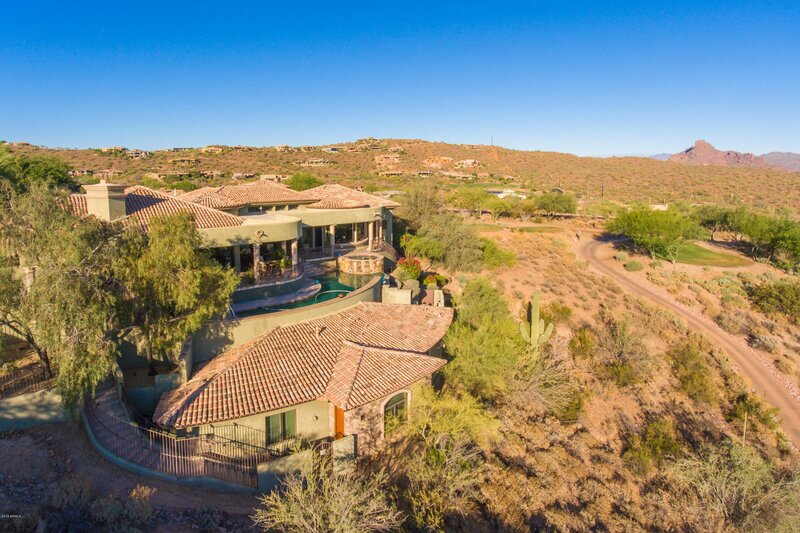 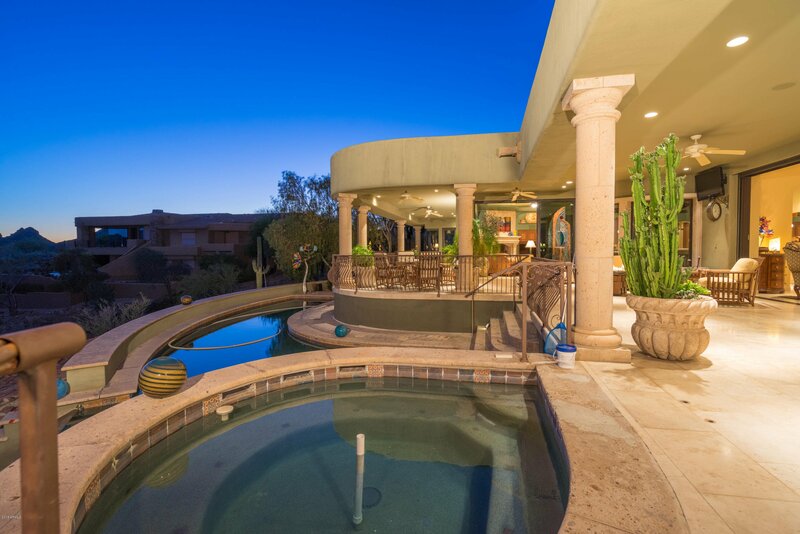 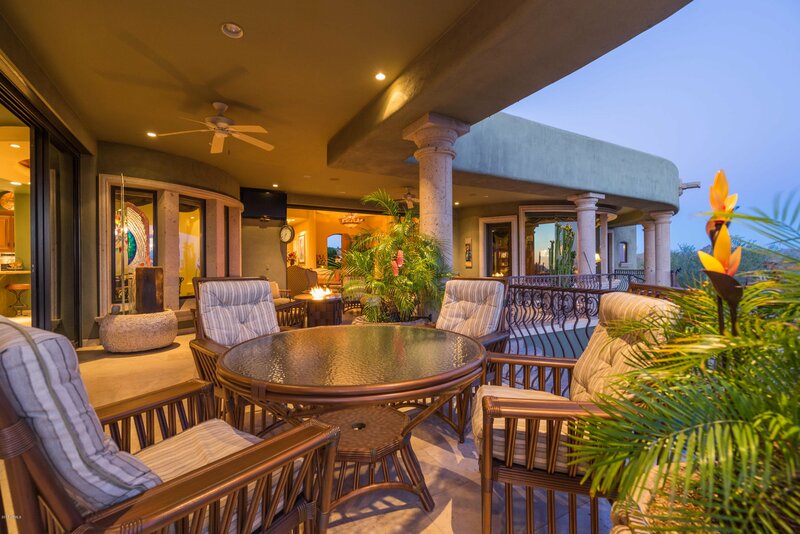 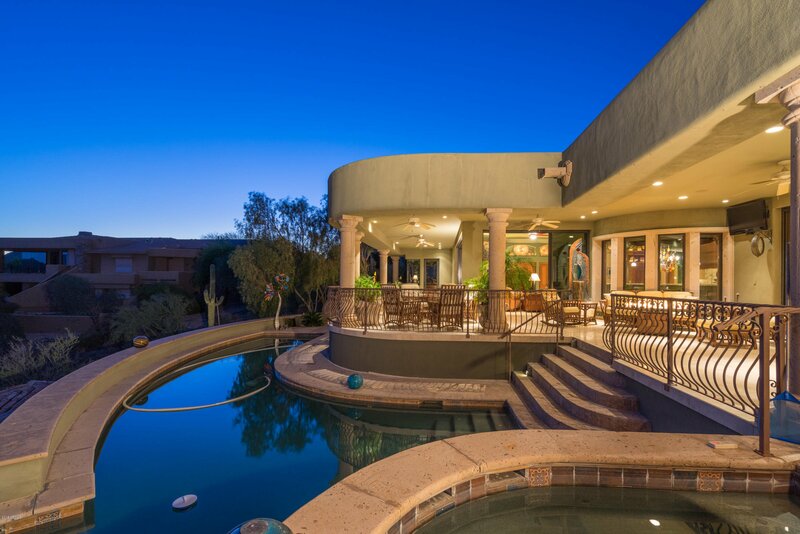 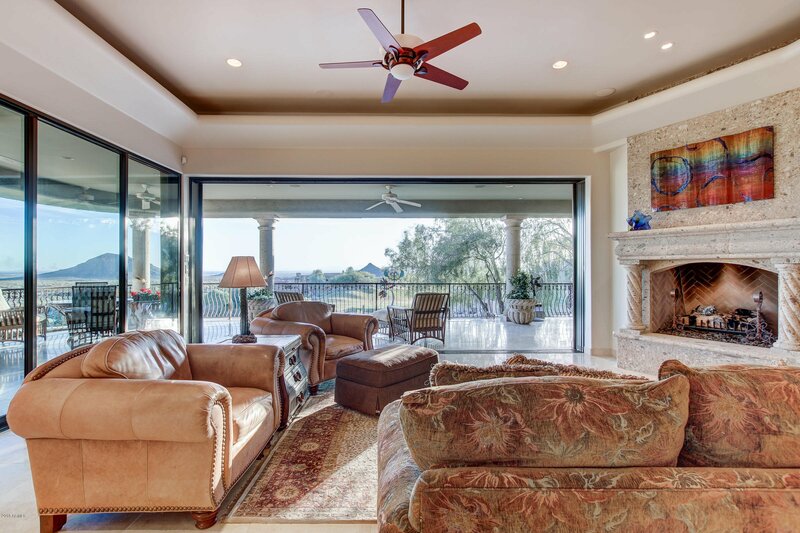 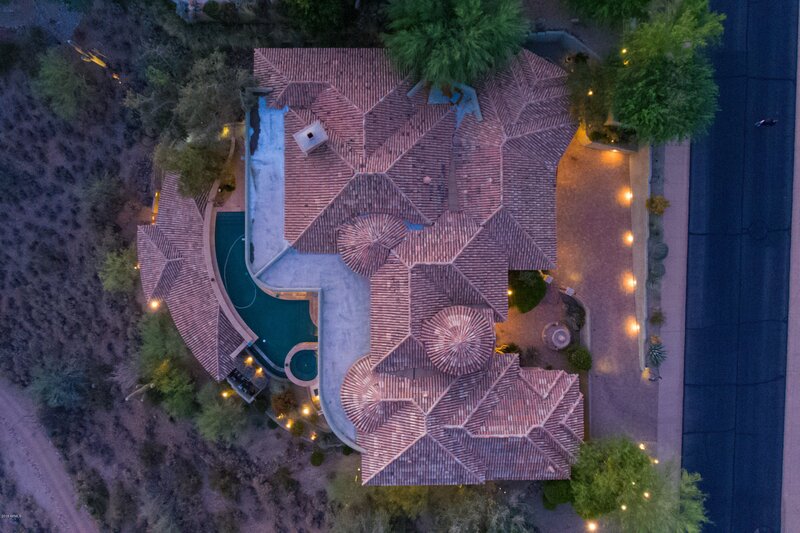 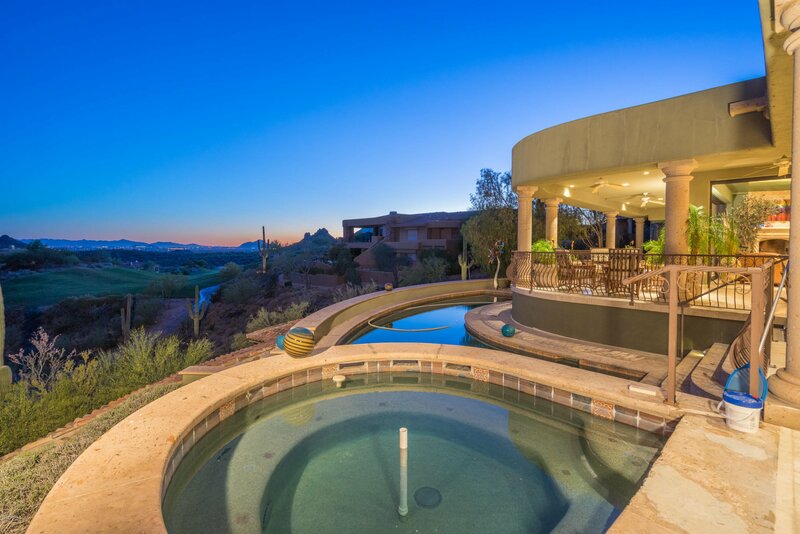 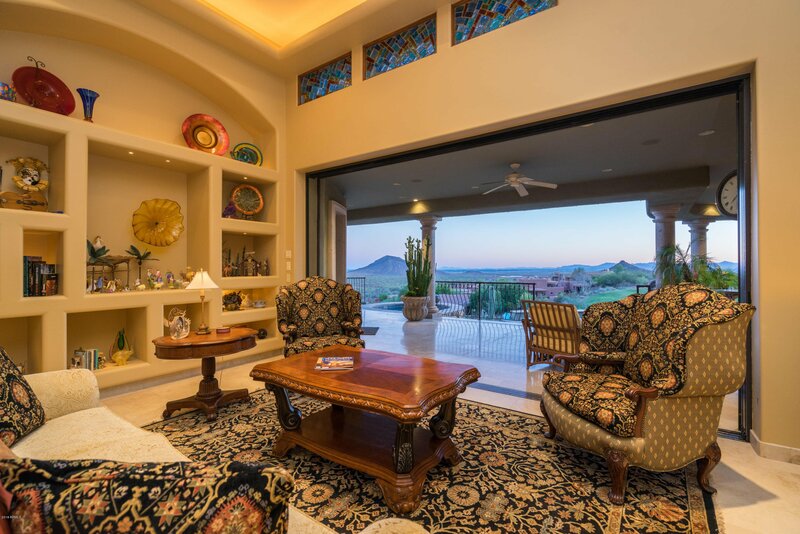 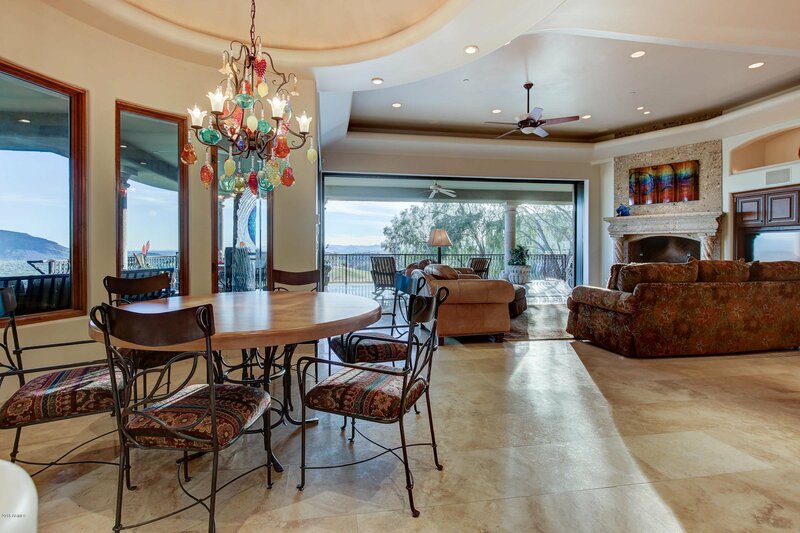 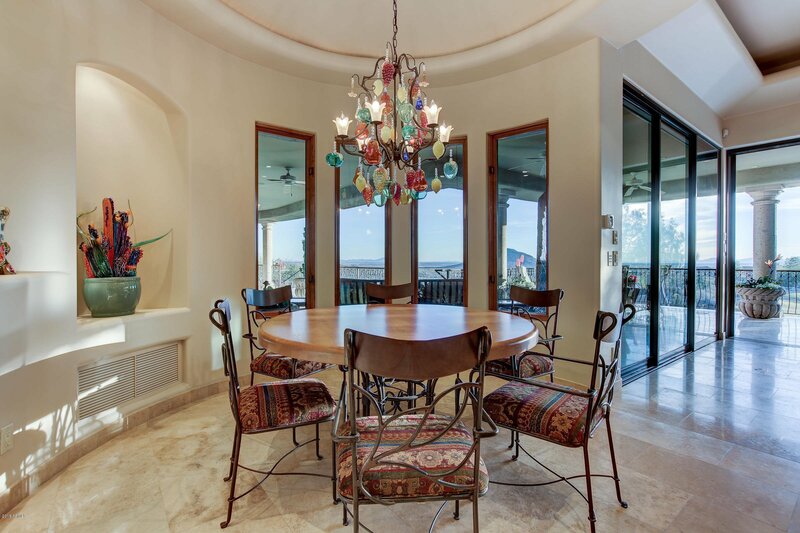 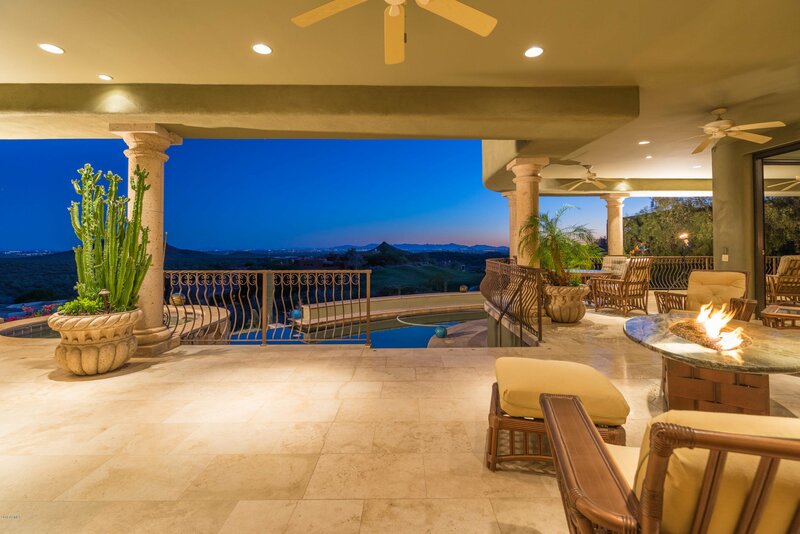 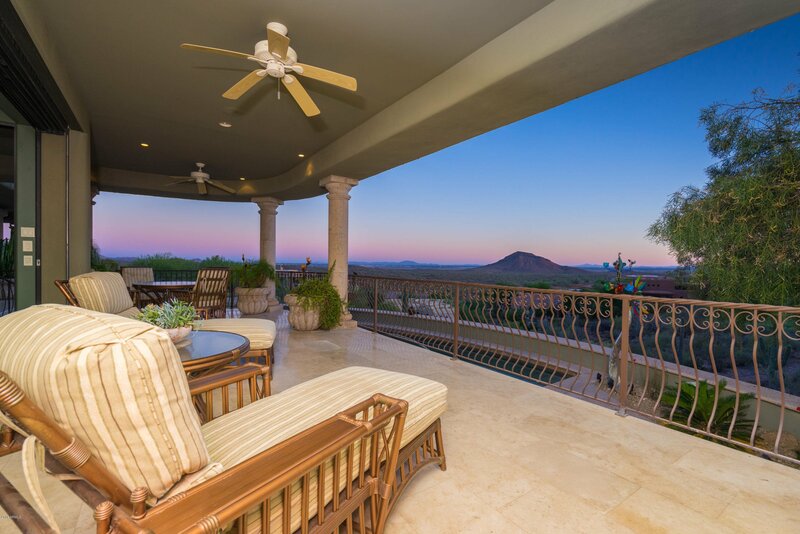 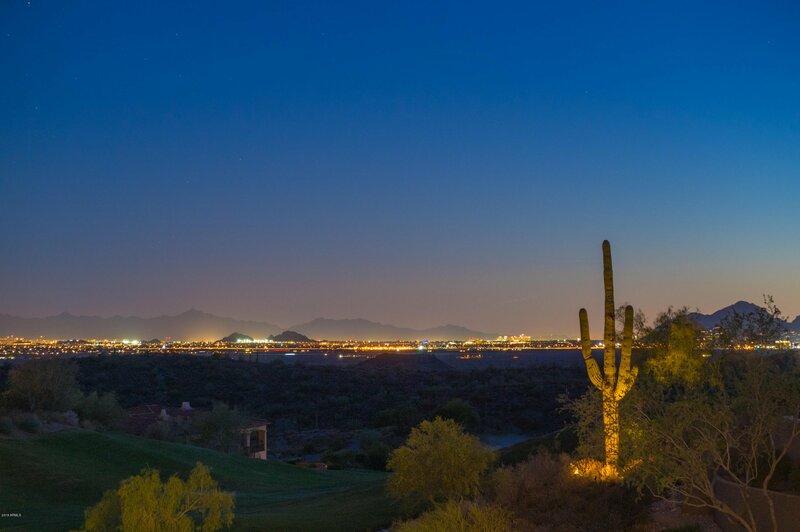 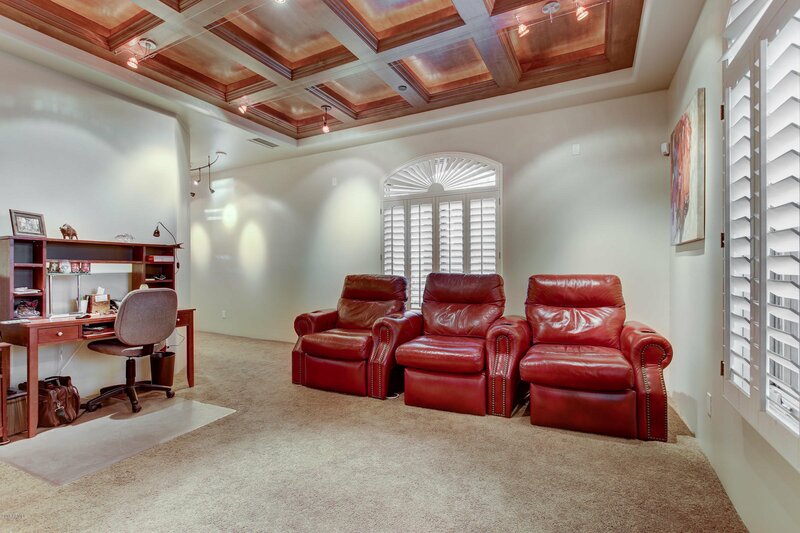 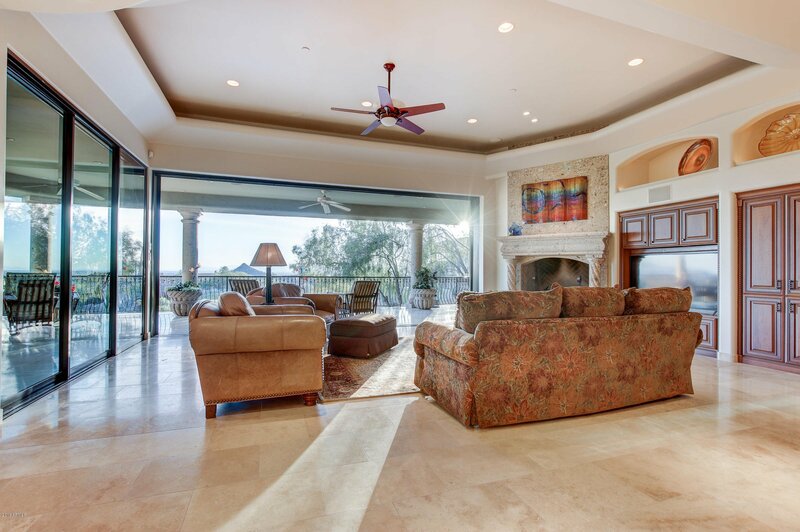 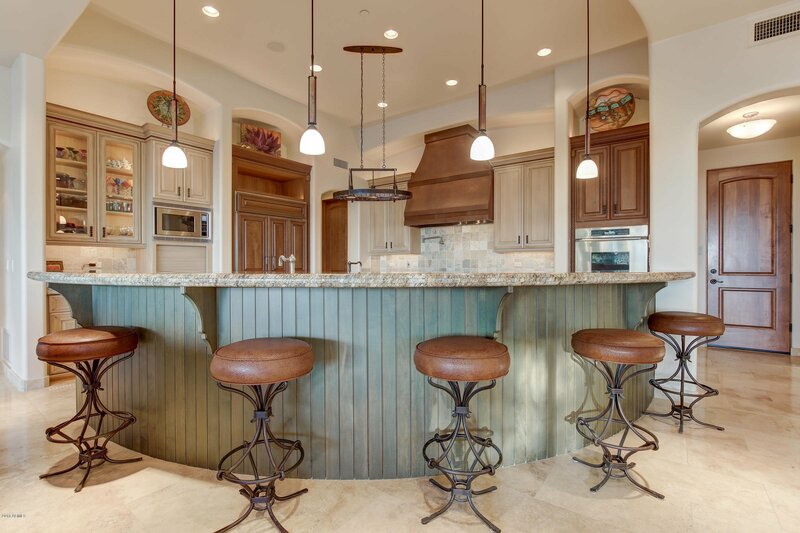 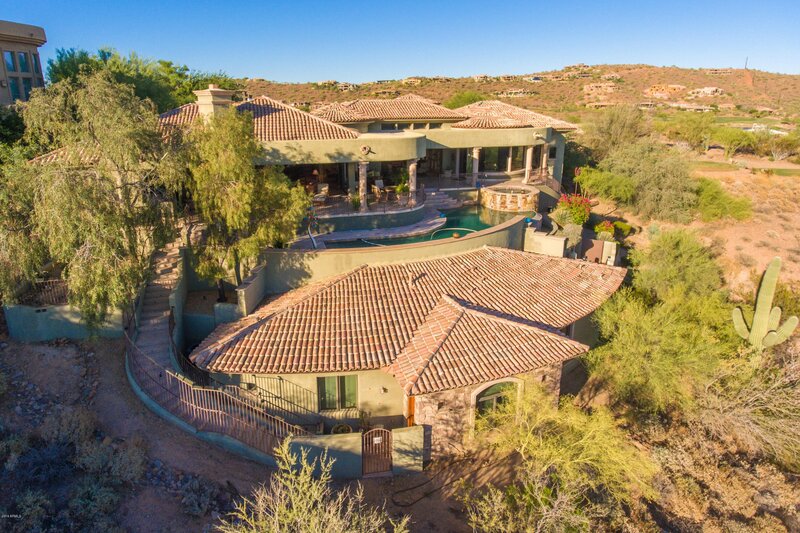 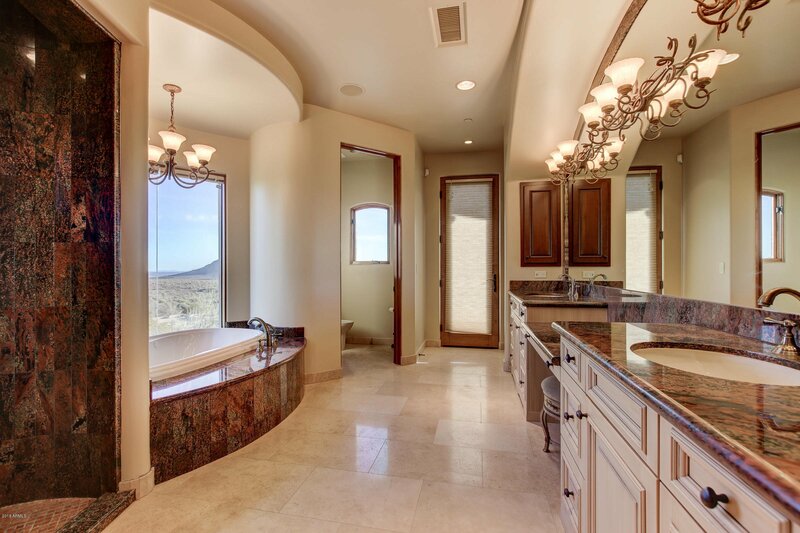 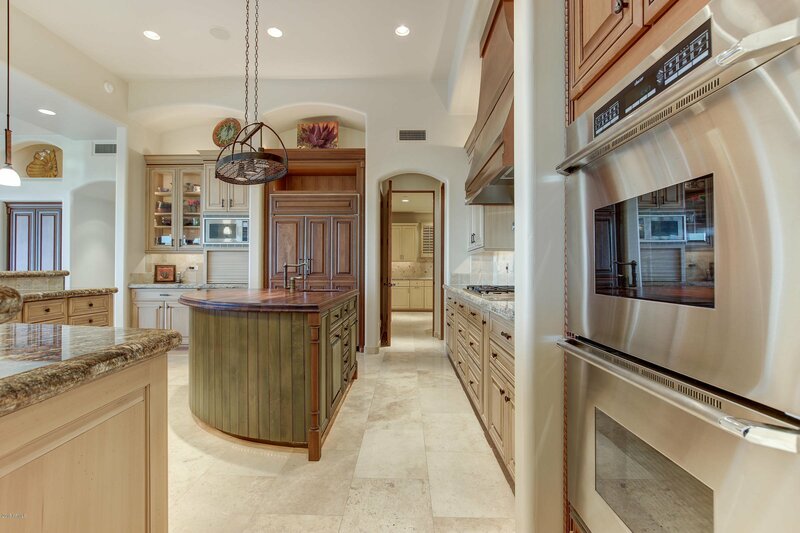 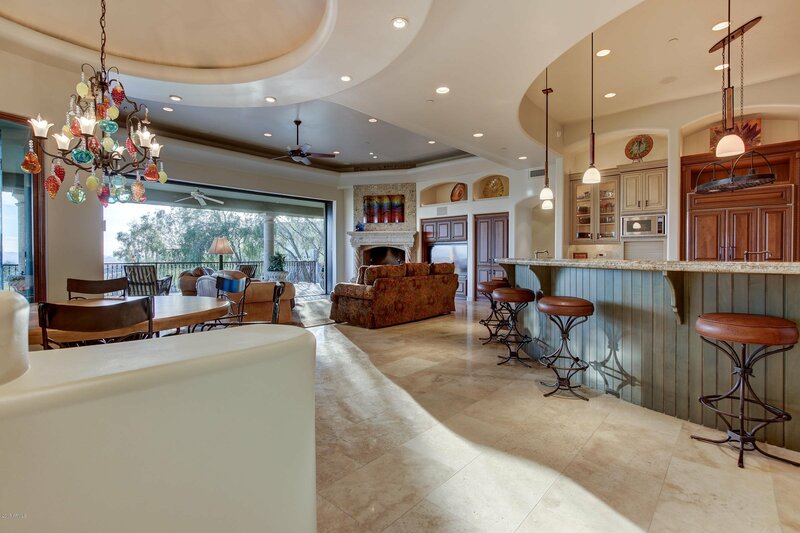 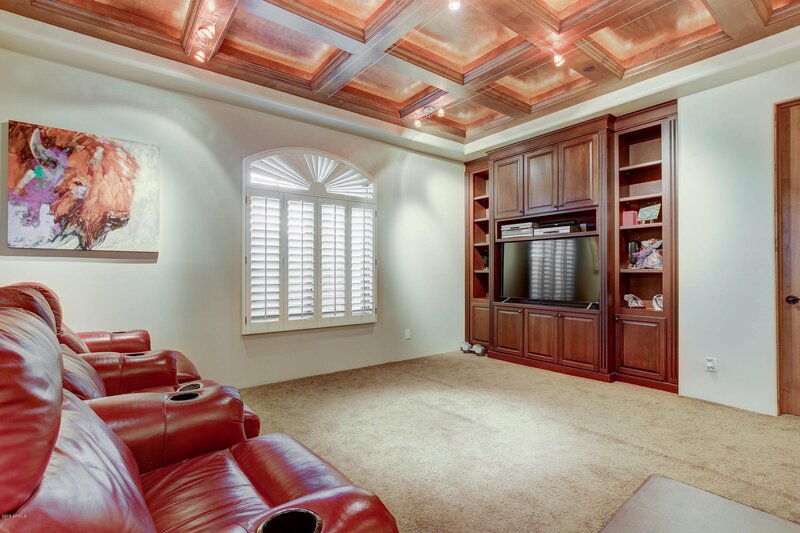 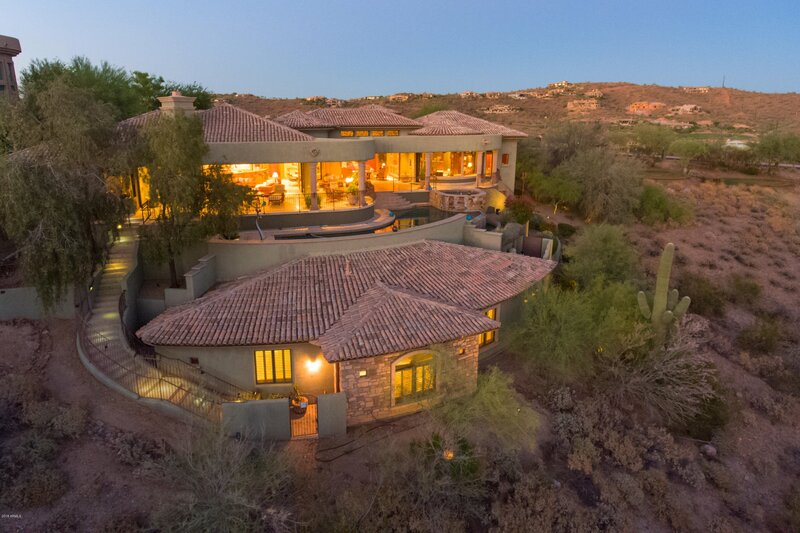 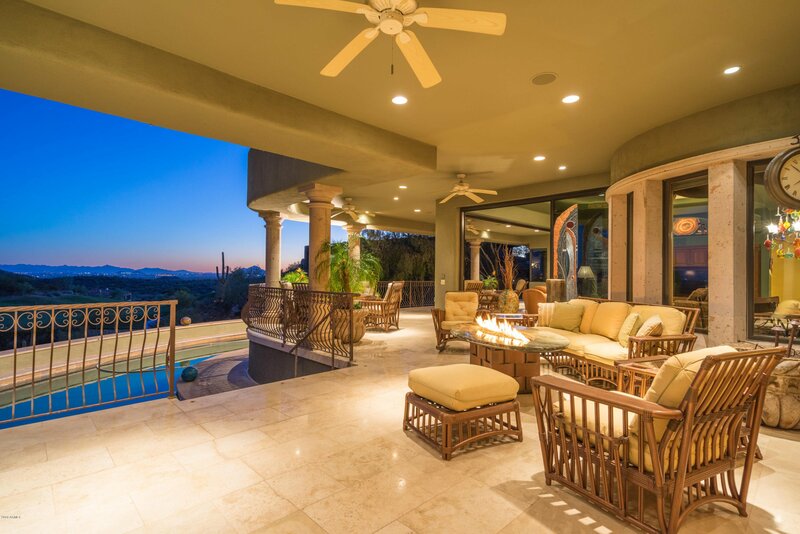 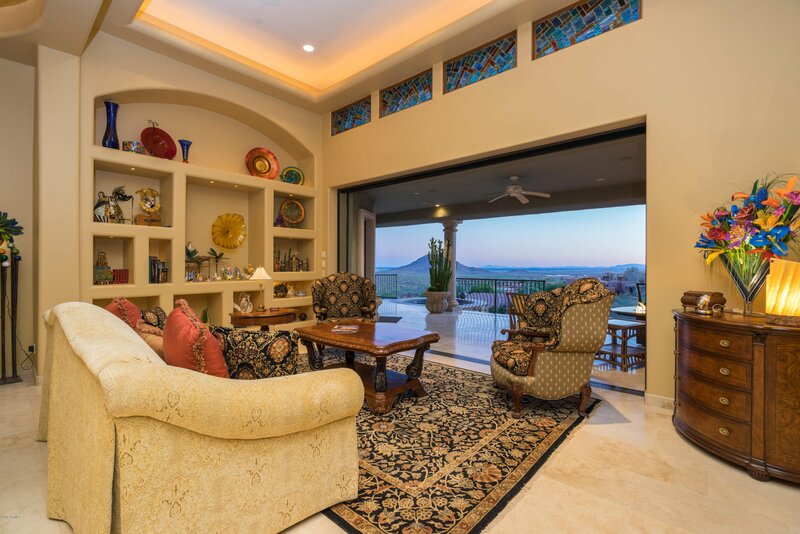 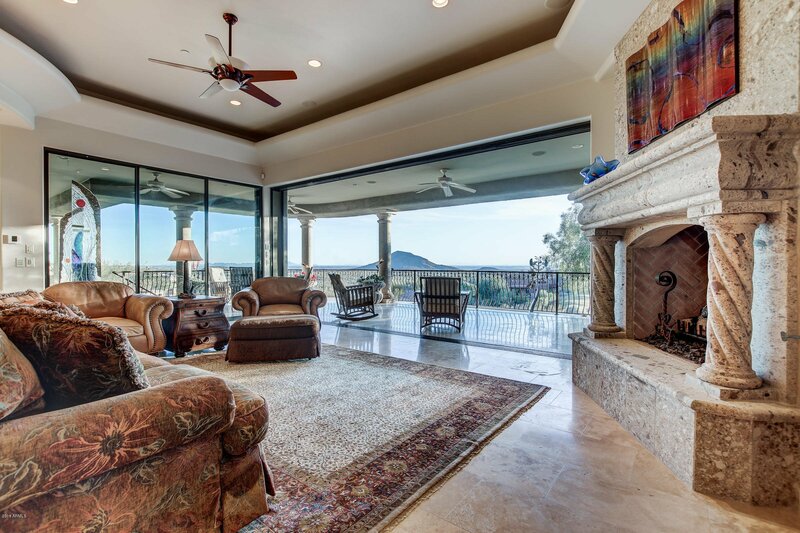 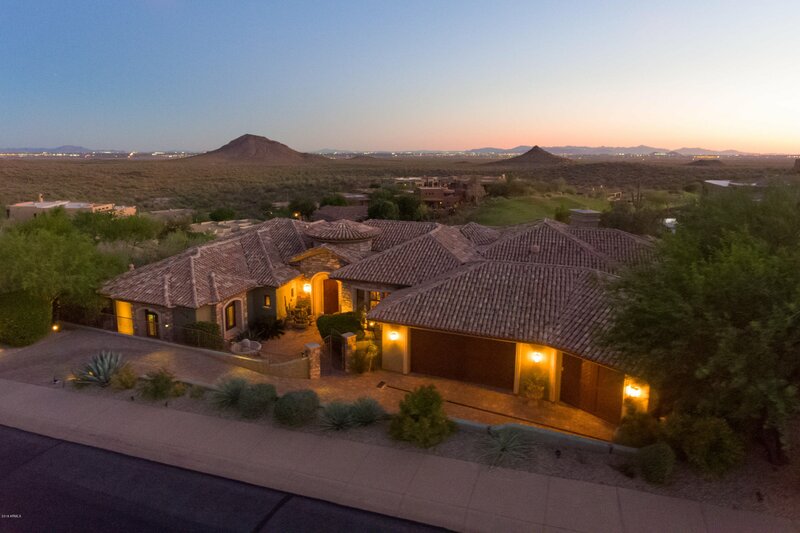 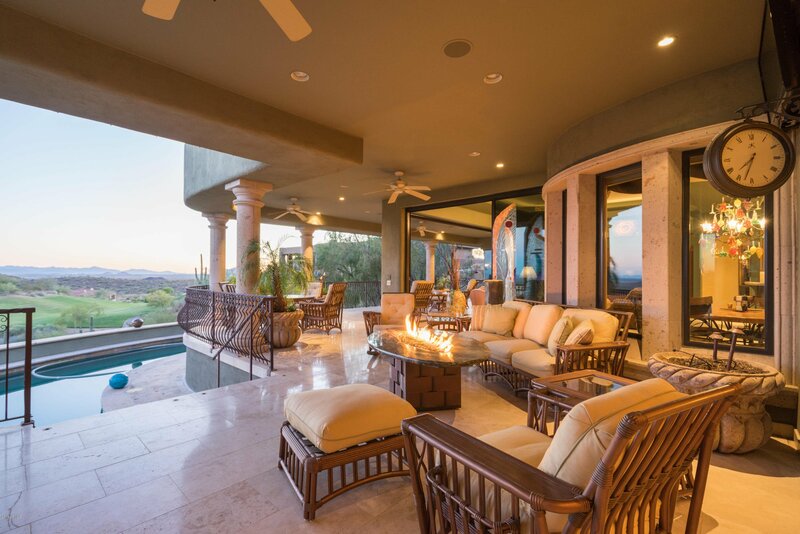 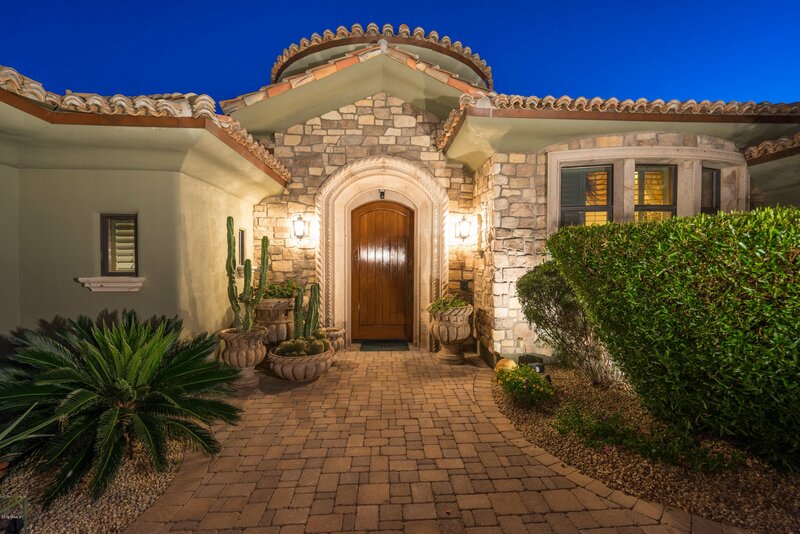 Two sets of motorized pocket doors lead to a spacious (2,000 sq ft) covered outdoor living area overlooking the 6th hole of the Eagle Mountain golf course. 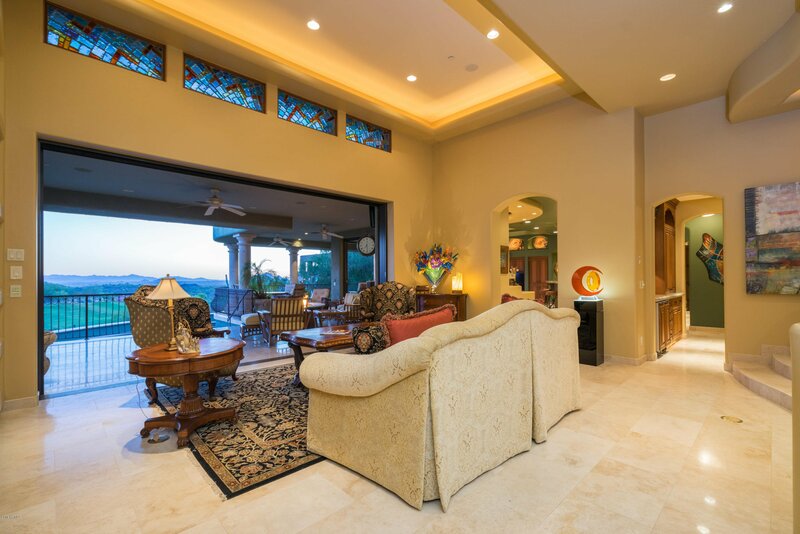 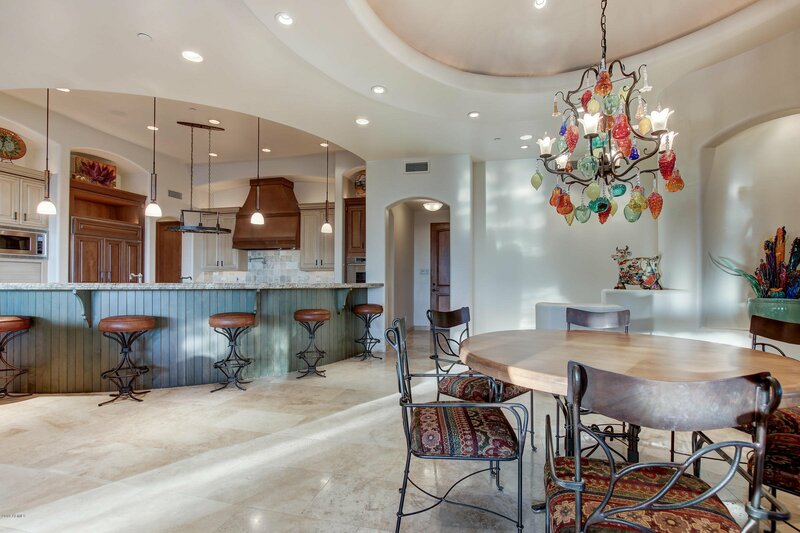 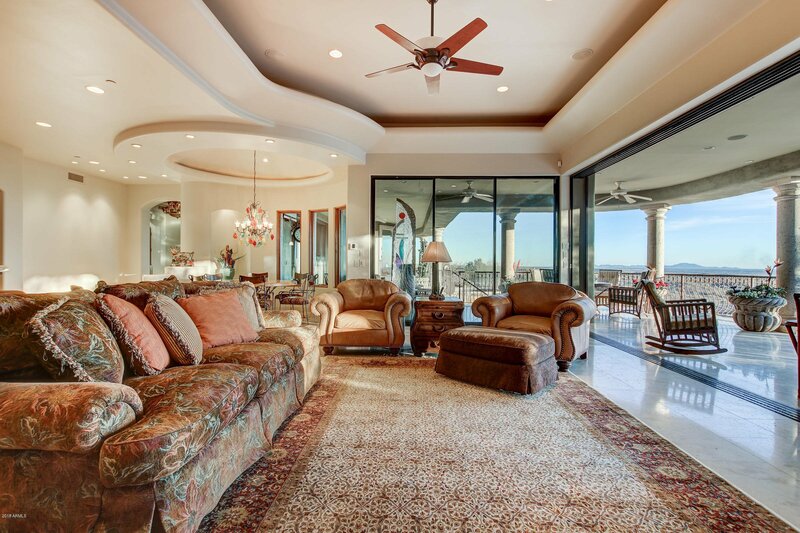 Spacious greatroom with cantera fireplace, butlers pantry and wine cellar with tasting room make entertaining a breeze. 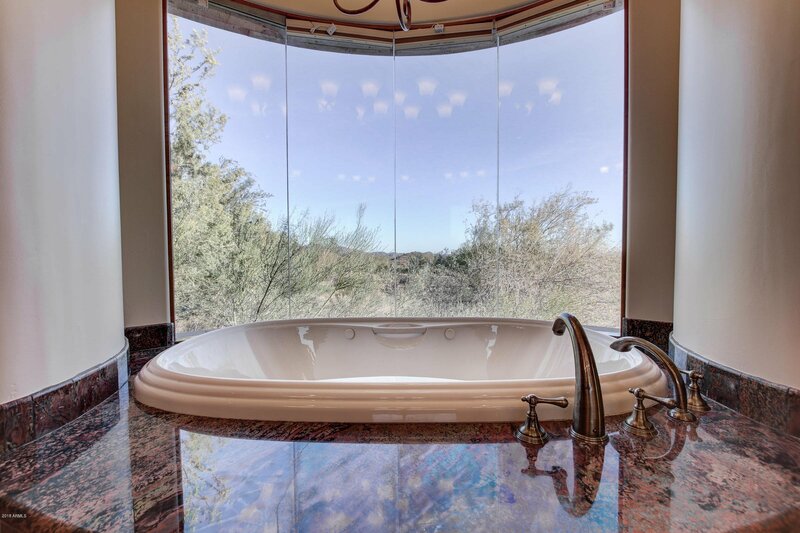 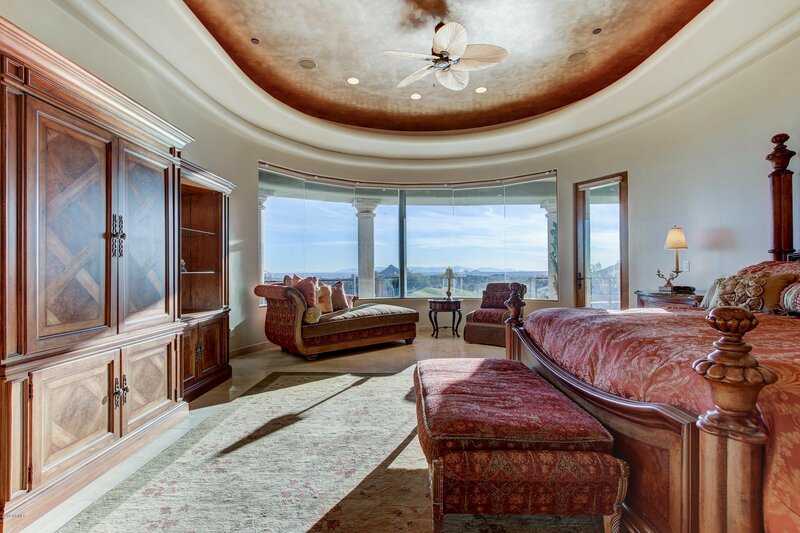 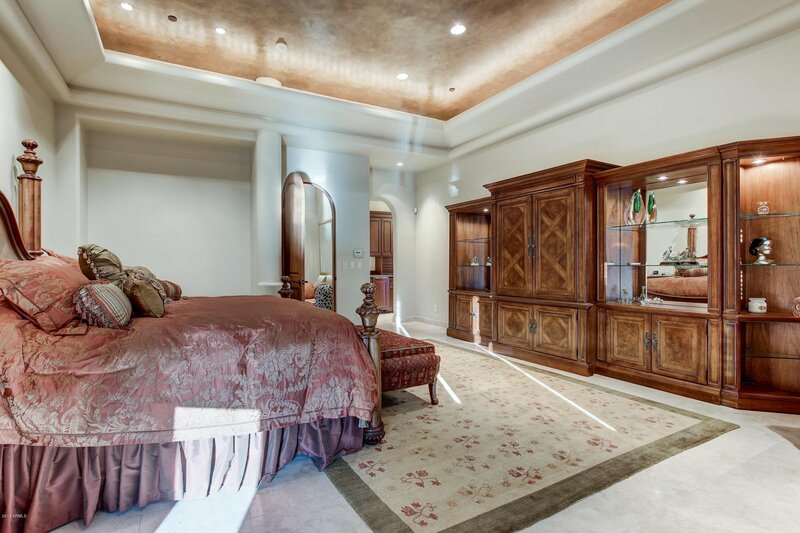 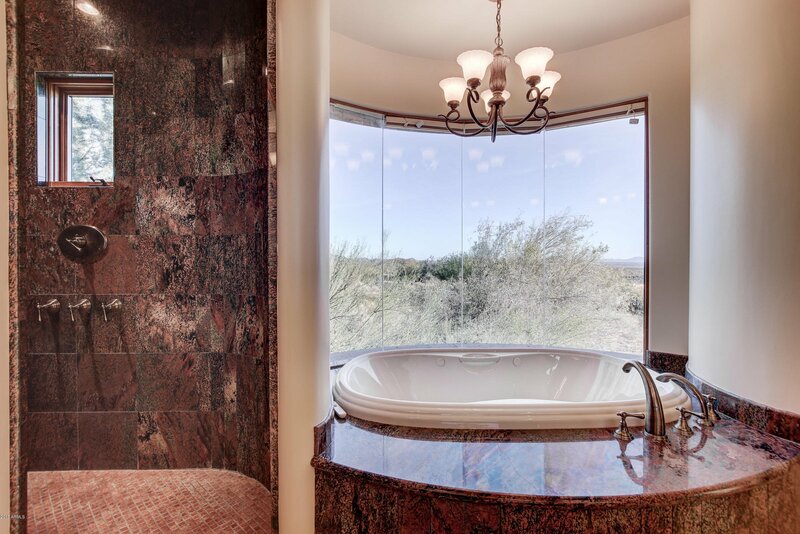 Stunning master suite living includes a wall of butted glass showcasing massive views, a coffee bar and separate master closets. 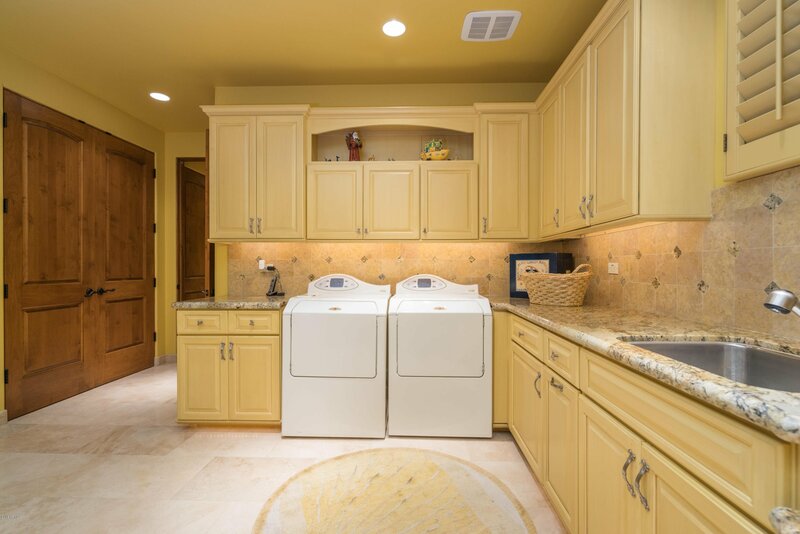 Completing the main level are two ensuite bedrooms, a mediaroom/den and a laundry/craft/sewing room. 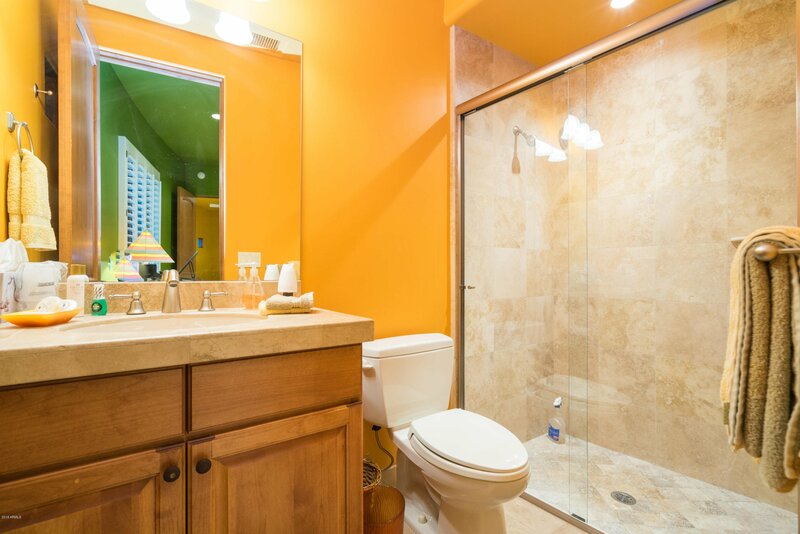 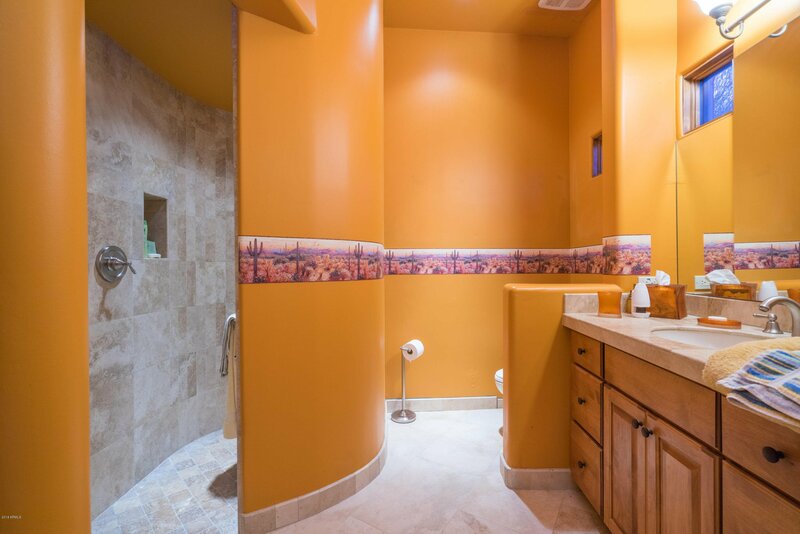 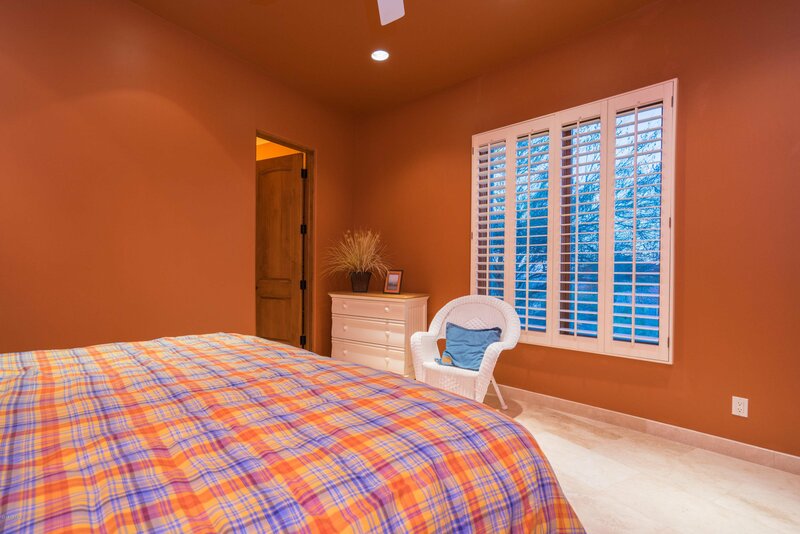 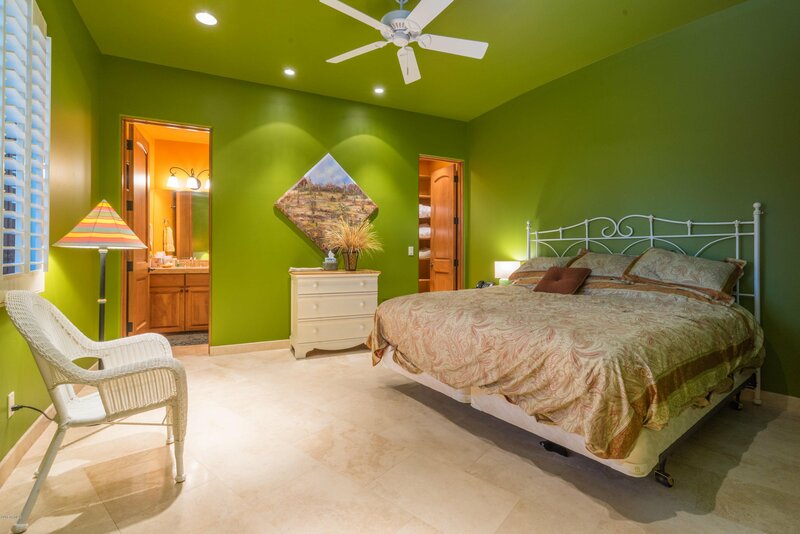 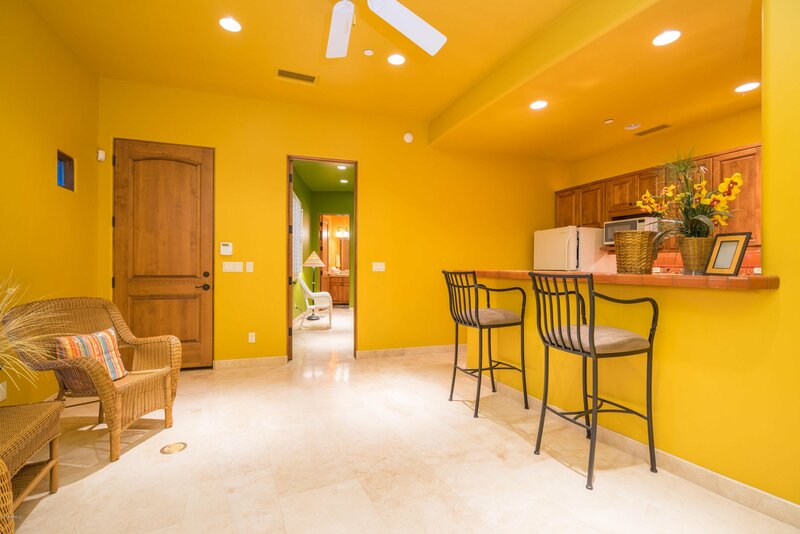 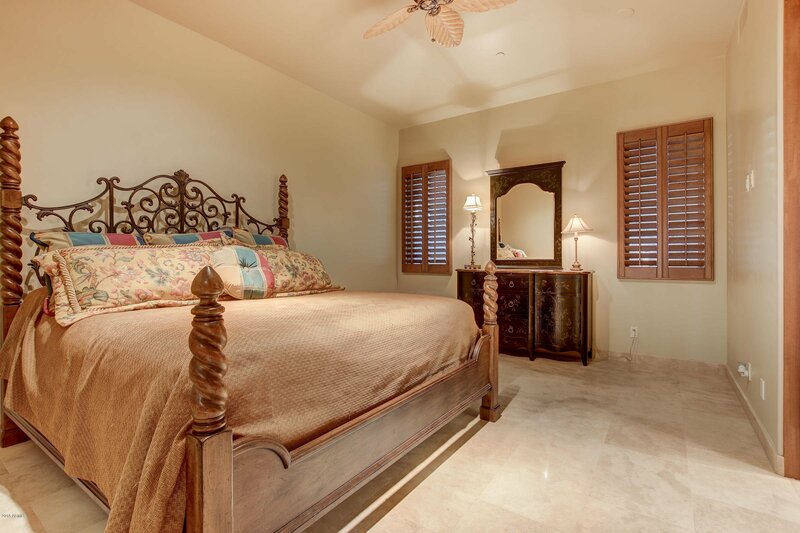 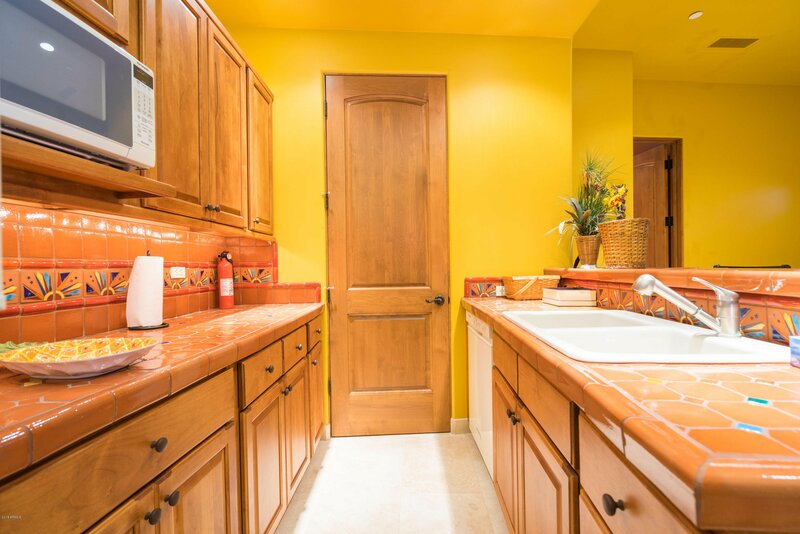 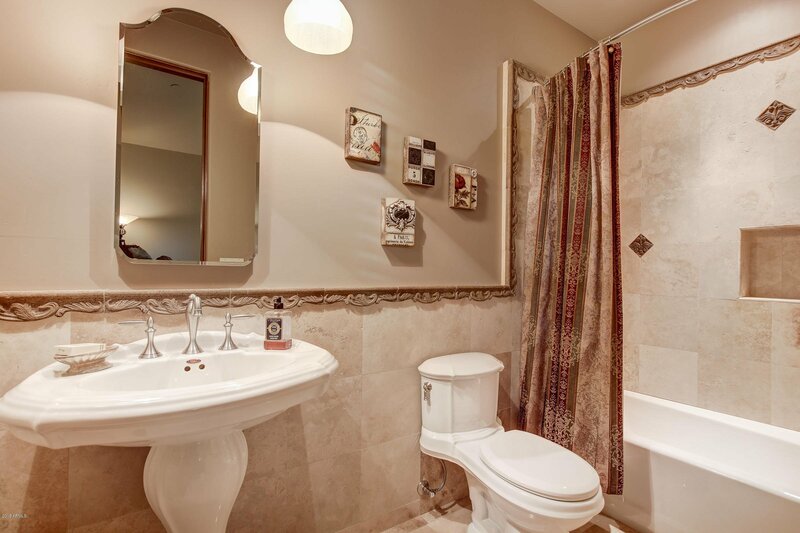 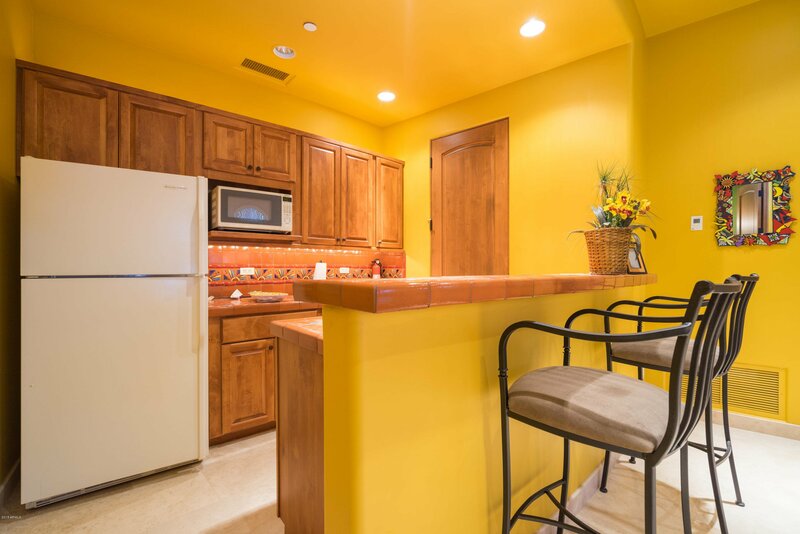 Separate casita has a cozy living room, kitchen, laundry and two ensuite bedrooms. 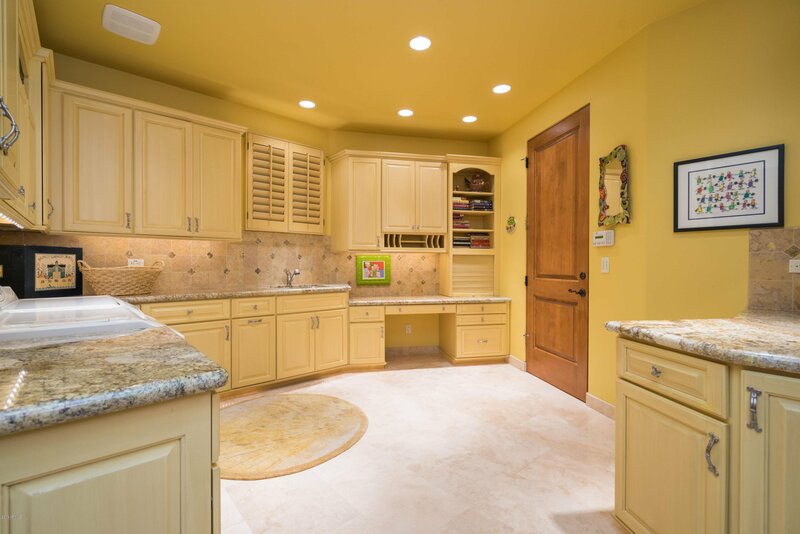 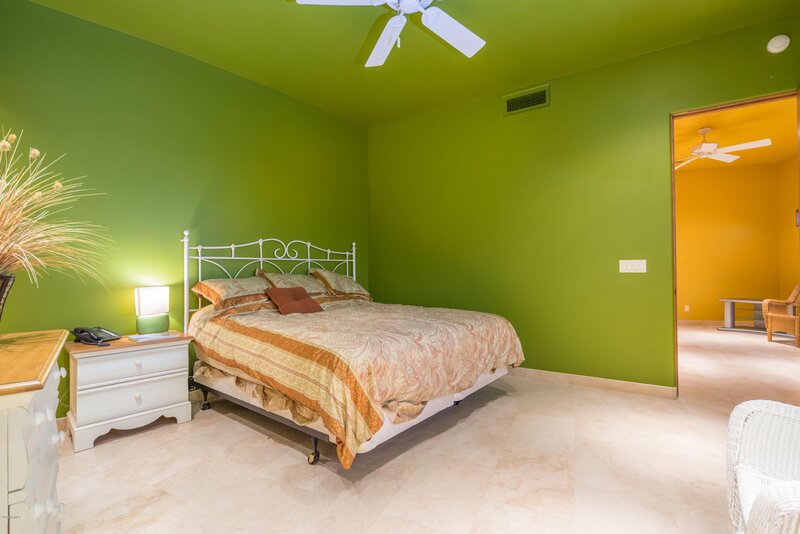 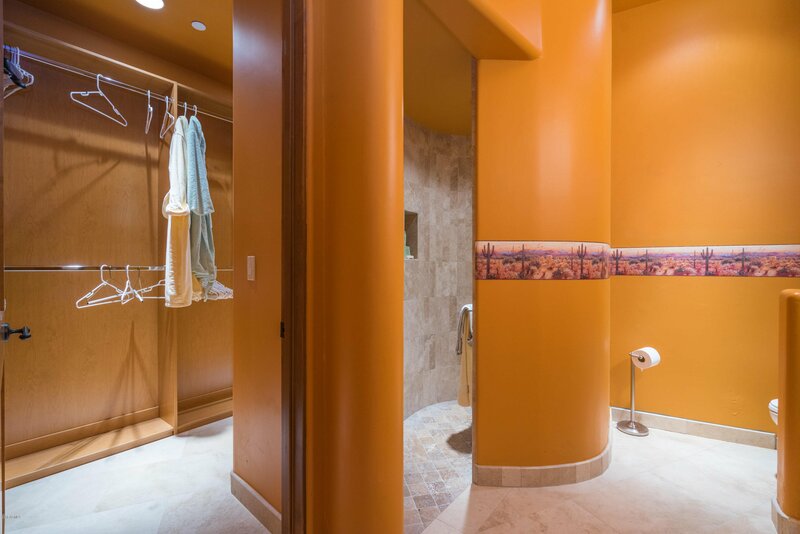 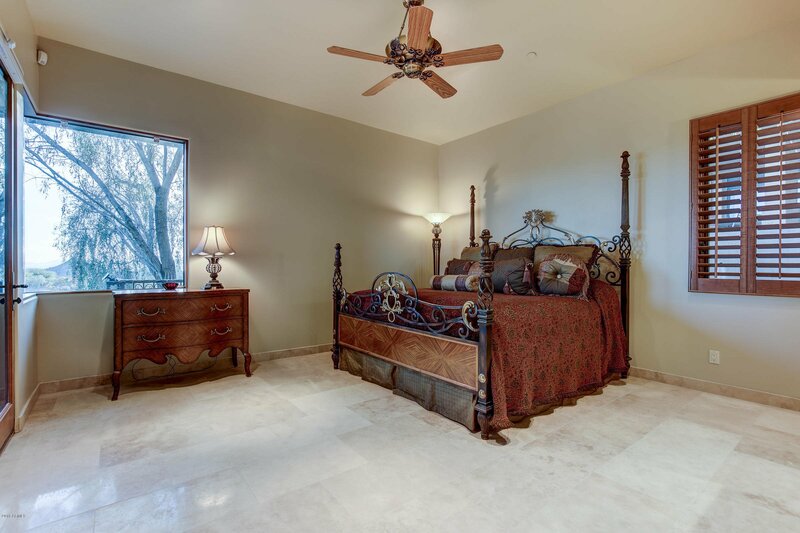 Home is handicap accessible and includes an airconditioned golf storage/hobby room, pool bath, central vac and whole-house one-button control lighting system. 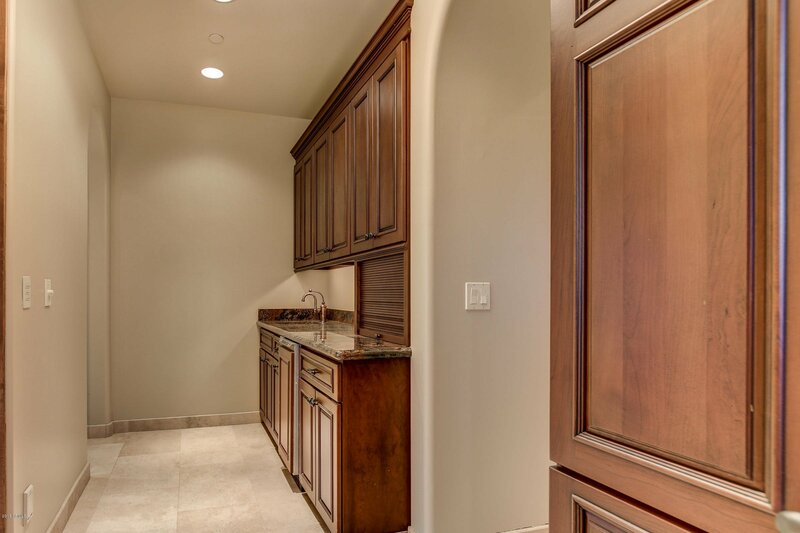 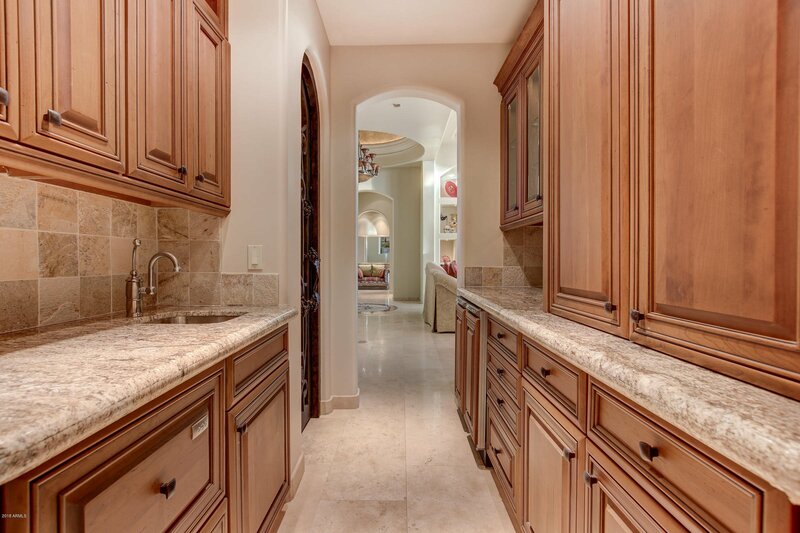 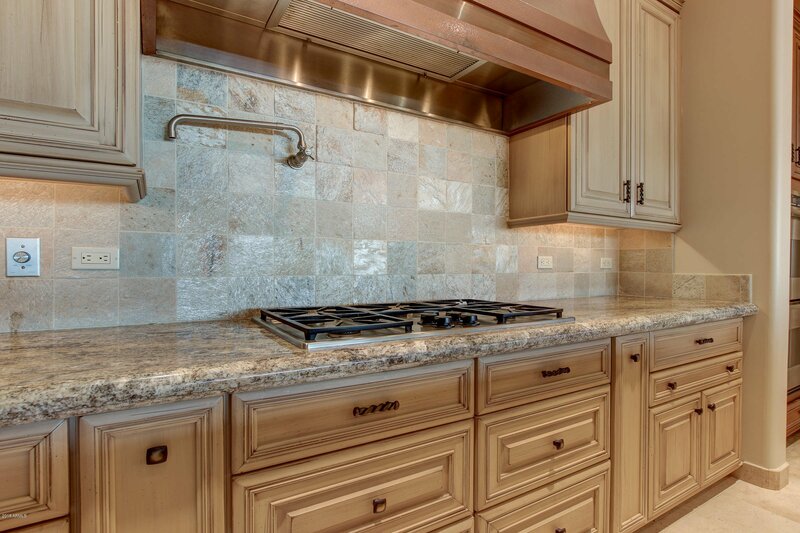 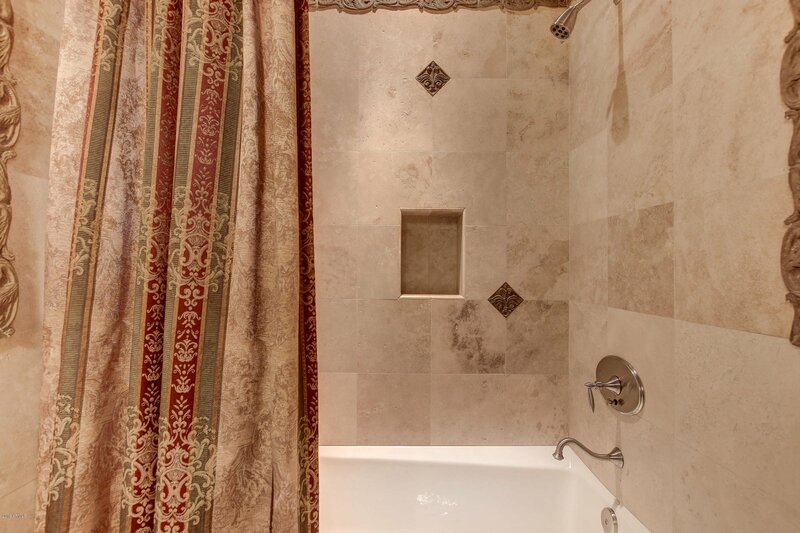 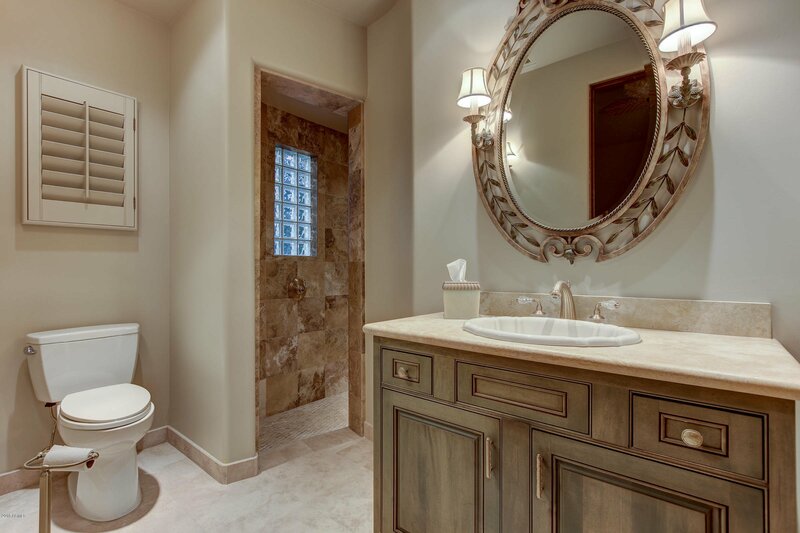 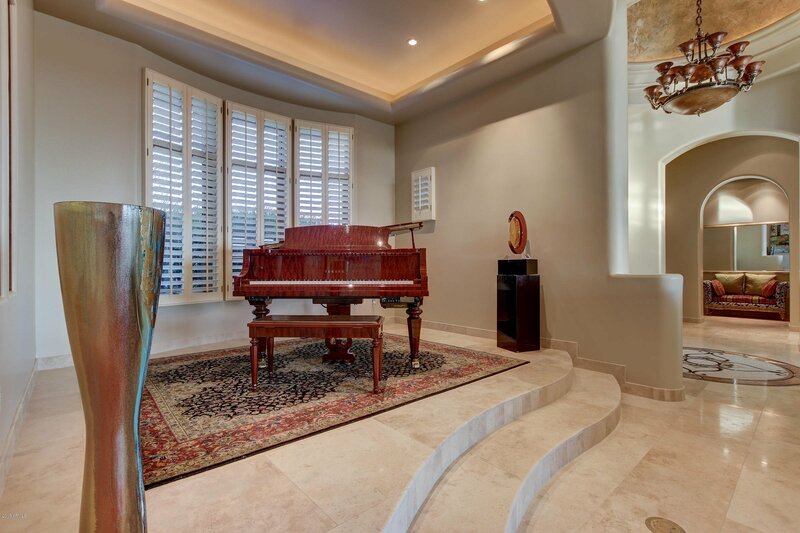 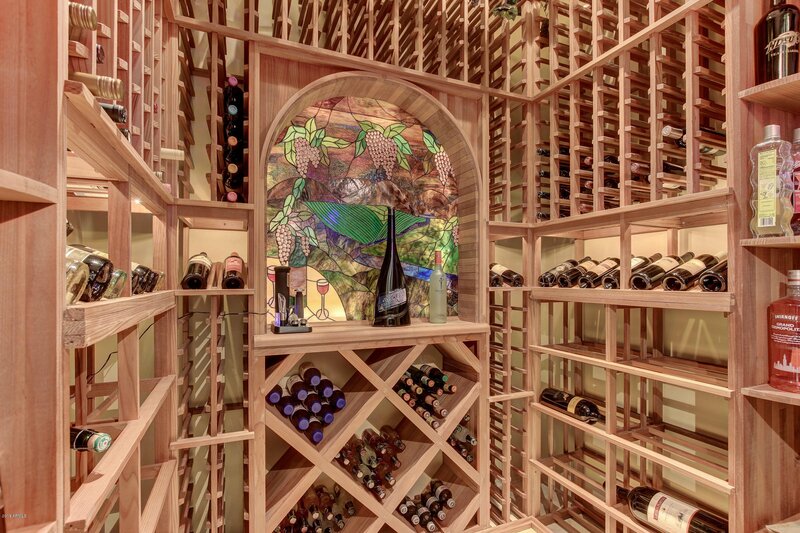 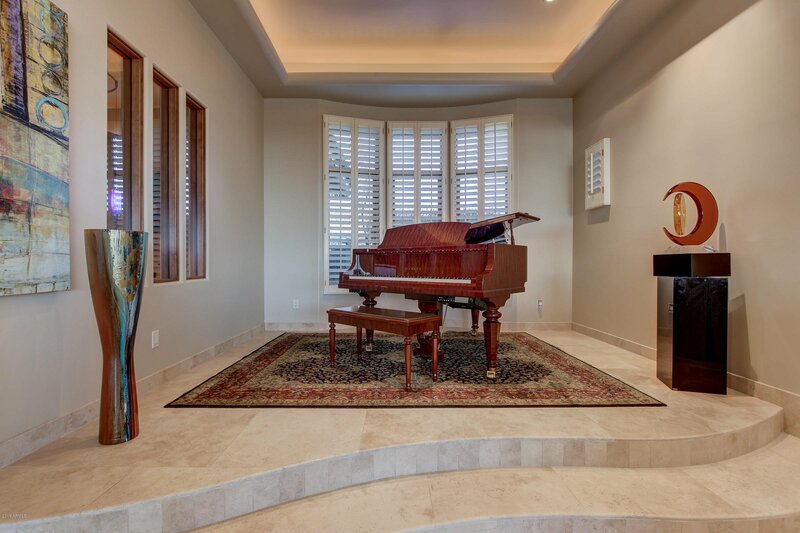 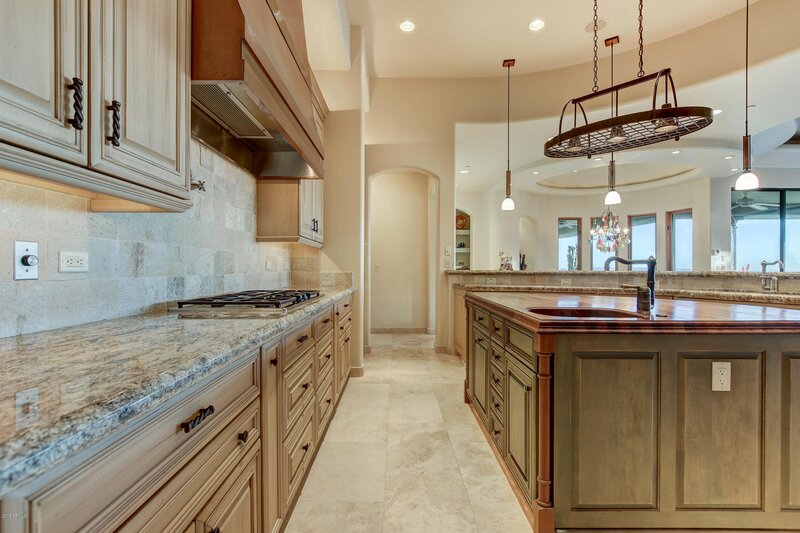 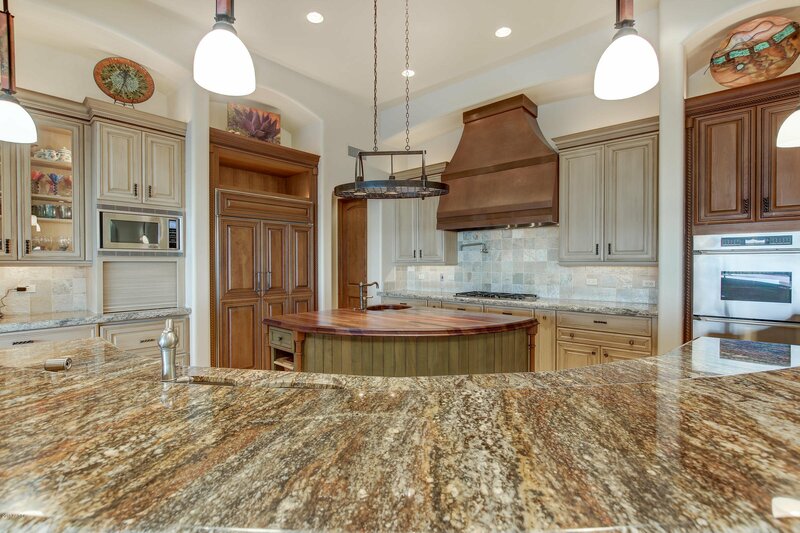 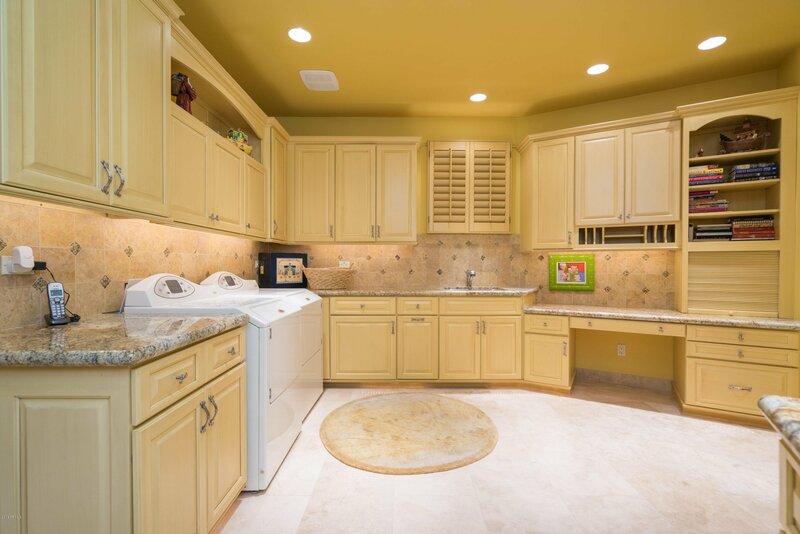 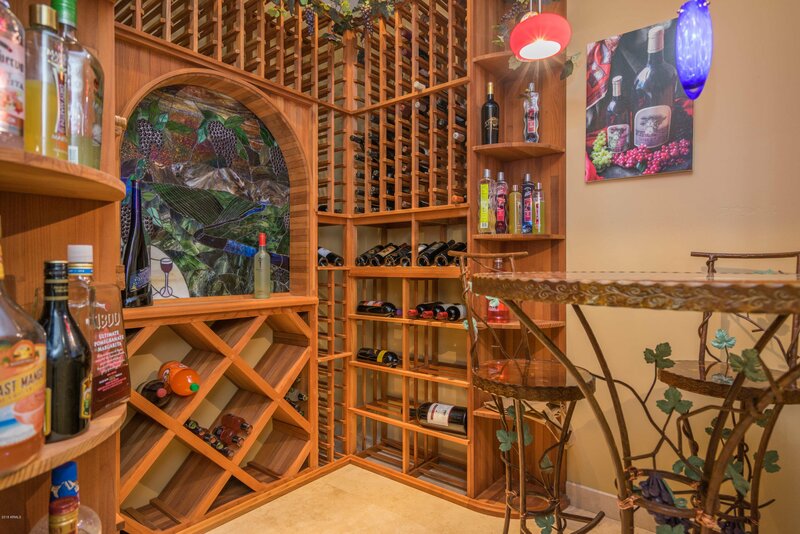 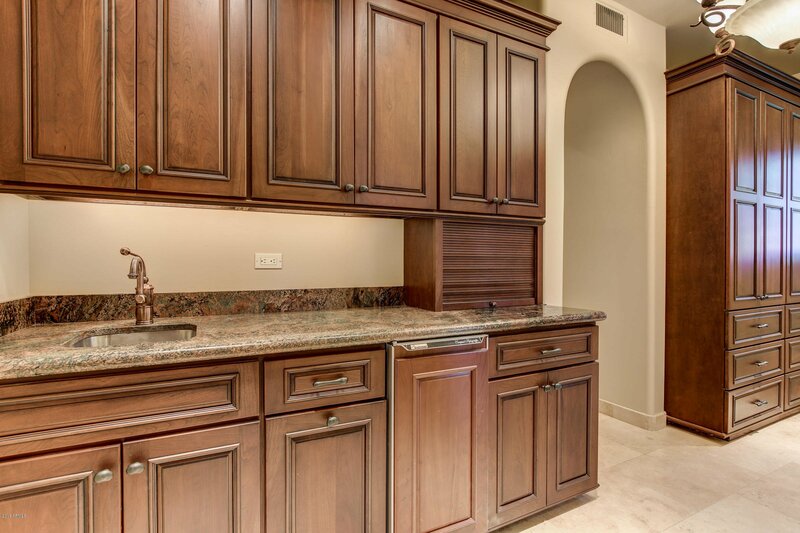 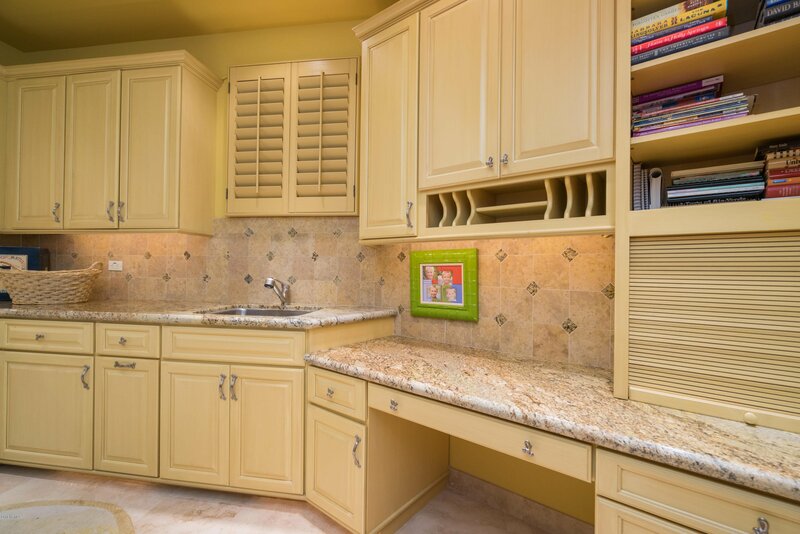 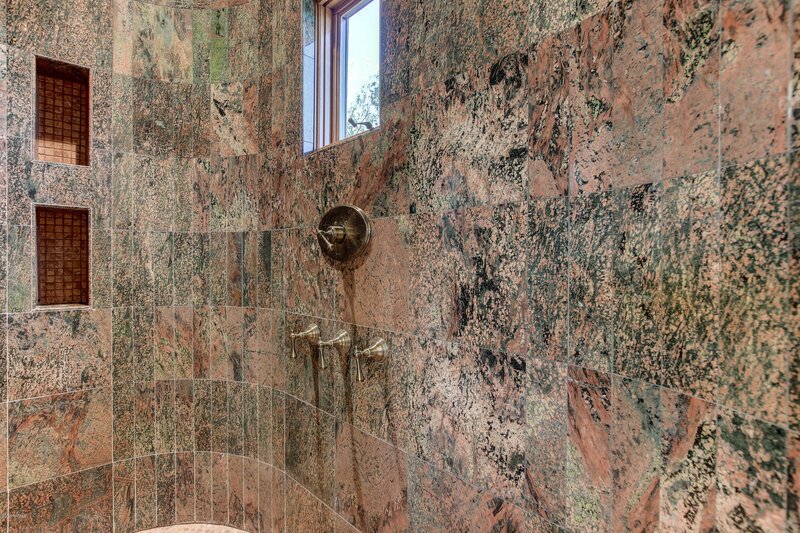 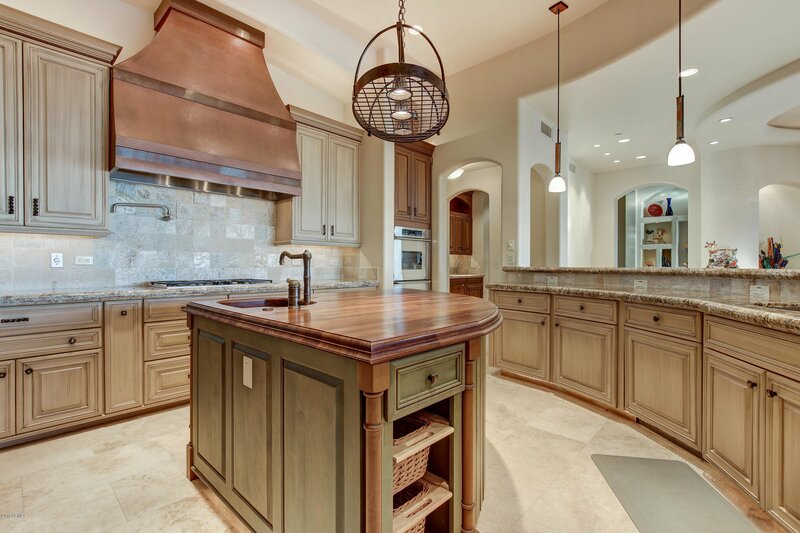 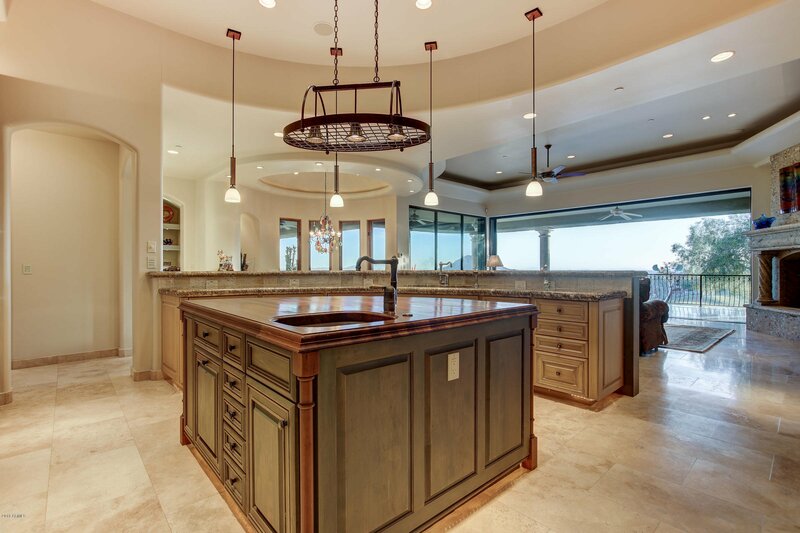 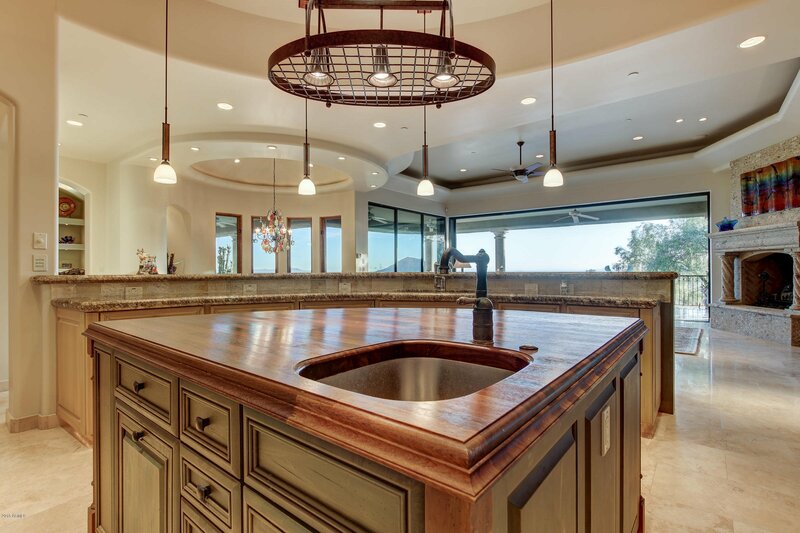 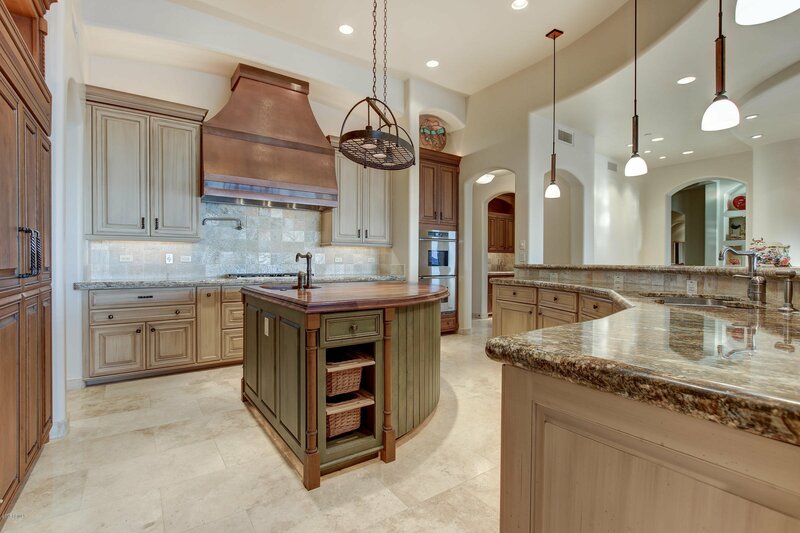 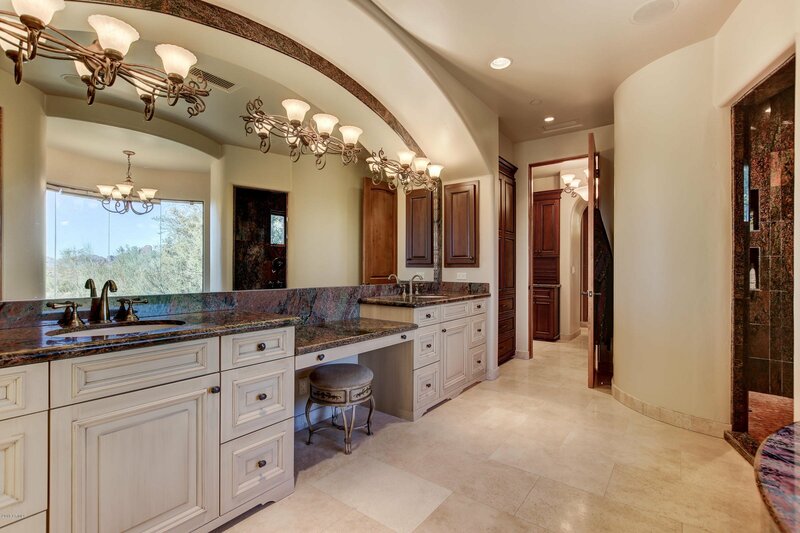 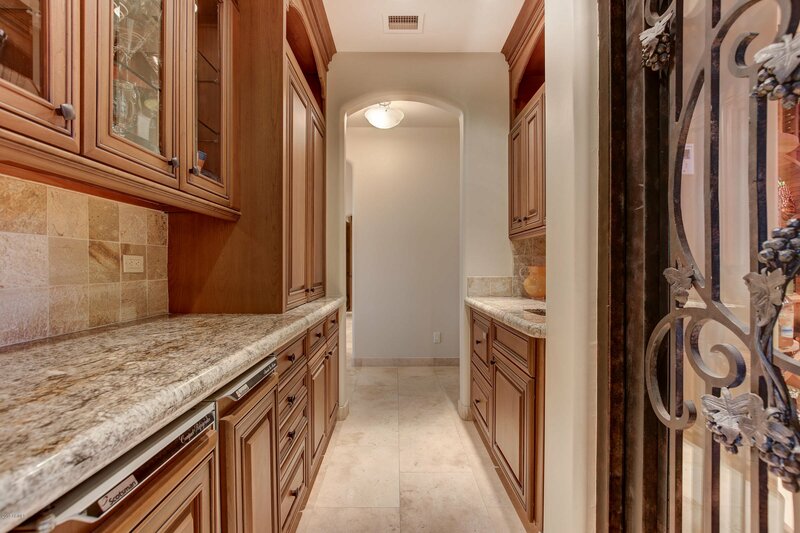 The craftsmanship and quality on this home are unsurpassed.